n the banks of the River Dordogne 6km south of Sarlat, near some of the region’s most beautiful sights, this house has been in the same family since 1866 and is an ideal spot from which to discover the treasures of the Périgord Noir’s architectural, cultural and gastronomic heritage. 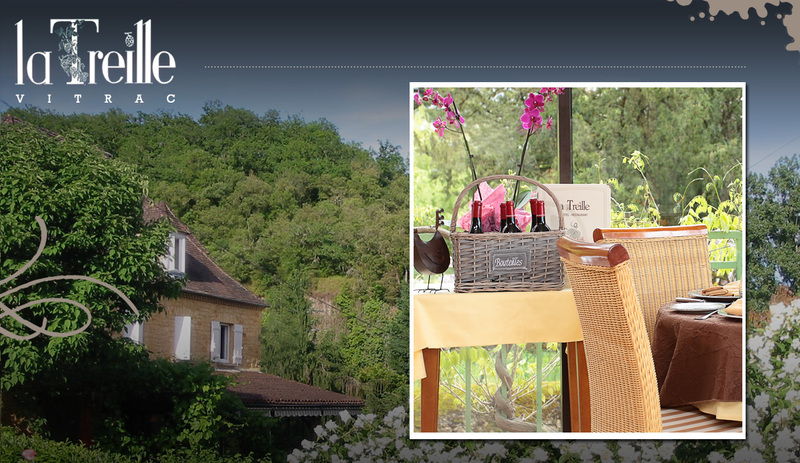 You will receive an unfussy, warm and convivial welcome in the purest Périgourdine tradition. As befits somewhere in the midst of the Périgord’s 1,001 châteaux, we will always be happy to offer advice and recommendations about the area, throughout your stay with us. We will also be glad to welcome you in our restaurant, its cuisine allying tradition and modernity - with meals served on the terrace in warm weather, in the shade of our luxuriant vine-arbour.